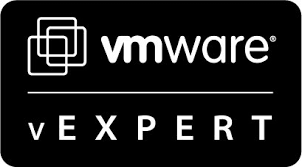 On Wednesday 29 August 9.30 – 10.30am, Katarina Wagnerova (@_katkaw_) and I shall be presenting our session – “Designing for the Unexpected: Delivering IT on a Boat with VMware Horizon [VIN2650BU]”. In this we plan to share the adventures of #hobbitatsea and #katatsea, where on consecutive years we designed and implemented the virtualization strategy for a large maritime archeological operation in The Black Sea. So if you’re interested in knowing what it takes to discover shipwrecks and not have your vSphere environment go to Davey Jones’ Locker, please join us. In this session we’ll also be giving away a signed copy of the awesome VDI Design Guide, authored by all-time EUC legend Johan van Amersfoort (@vhojan). I’m excited to share that I shall be joining Brian Madden (@brianmadden) plus a host of other experts at the EUC Tech Talk, Tuesday 28 August 5.30 – 7.30pm at the Luxor Hotel. This will be an amazing event with presentations from myself, Brian (obviously) and other well-known names in the EUC industry such as Sean Massey (@seanpmassey) and Johan. I shall be talking about an area of EUC I’m very passionate about – Linux VDI. However, as awesome as Windows’ nemesis on the virtualized desktop is, it’s not easy to get up and running. In this short session I plan to discuss what the pros and cons are, plus the things you’ll need to implement Linux VDI successfully. Lastly I shall be speaking at the Hello from my Homelab Panel Discussion on Tuesday 28 August 2-2.45pm. In this we’ll be discussing the benefits (and downsides) of running your very own mini-datacentre at home, including a little about HobbitCloud. Make sure you come along to hear more about this! Aside from the above, I shall be at the conference all week – so if you’re around and want to meet up, please drop me a tweet or grab me whilst I’m walking around.